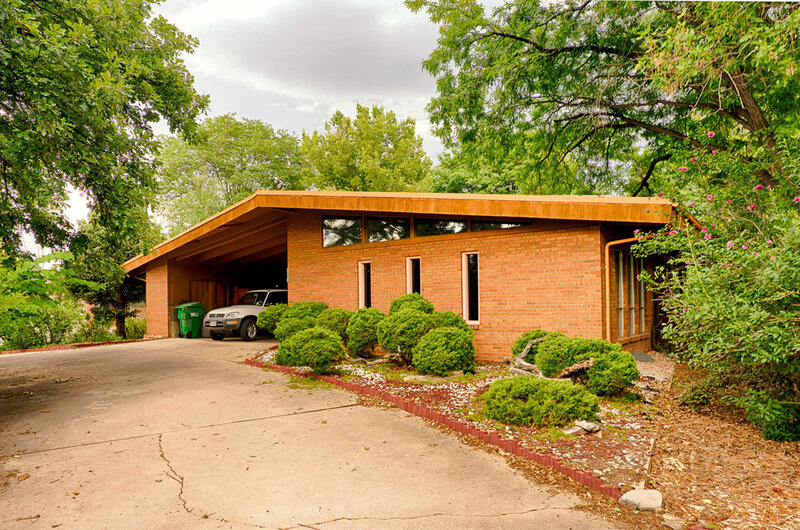 South Dahlia Lane ranks highly among the most historically significant mid-century modern neighborhoods in the city, although it is not formally protected beyond the limited powers of its homeowners association. To understand what makes South Dahlia Lane so important, one must go all the way back to its start around 1950. A group of Denver University professors were seeking a way to afford homes for their families on their small salaries so that they could move out of the university’s very basic faculty housing. They conceived the idea of pooling their resources to build a set of houses using the cooperative form of financing offered by the FHA. The result was the construction of 32 homes on about 10 acres; the first cooperative of single family homes in the nation, called the Mile High Housing Association. Because the entire neighborhood was built with a single mortgage, individual families in the co-op didn’t own their homes. In fact, as families grew larger or smaller, they would often change houses to ensure the homes were right-sized for the families that lived in them. It was not uncommon for a family to have occupied several houses in the neighborhood during their time there. The historical significance of this private enclave doesn’t stop there at its unique financing. It is also significant for who designed the neighborhood and the houses in it . . . Denver architect Eugene Sternberg. An immigrant to the USA, Sternberg was trained in Prague and Cambridge, England. His style was distinctly modern, driven by ideals of the modern movement of making buildings that relate to the human experience, and take advantage of light, air, and the relationship between indoors and outdoors; all while being sensitive to affordability. He also designed the neighborhood plan, which consists of a homes on a single loop surrounding a private central park, intended as a touchpoint for all of the community’s residents. The park includes a large grassy area, a small amphitheater, and a playground. A central clubhouse that was part of the plan was never built. 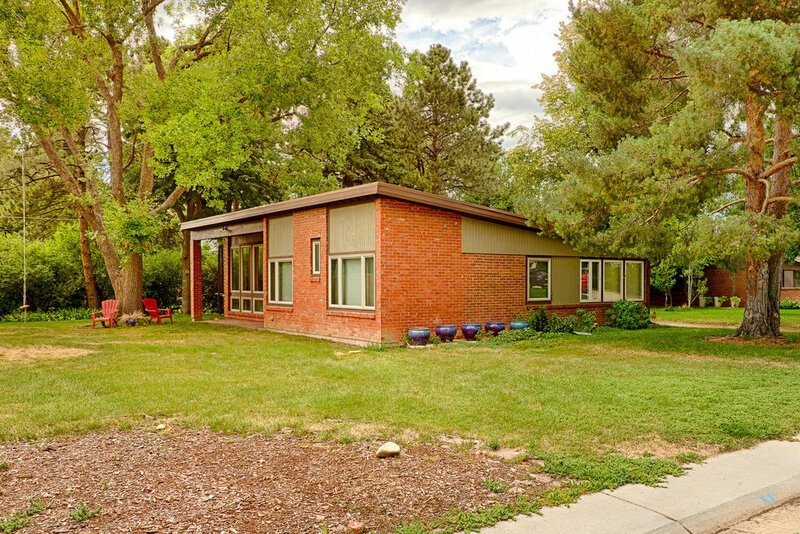 Sternberg’s influence on Denver was significant through his entire career, designing houses, commercial buildings, and noteworthy neighborhood master-plans. He is notable not only for his exceptional modern designs, but his persistent idealism that good design has great value and that it should be accessible to people of all economic means. He was always at odds with developers over this idea, and was known to leave projects before they were finished when he could not see eye-to-eye with his clients in the tension between profits and affordability. Sternberg was most notably involved in the master plan of Arapahoe Acres in Englewood (which was also supposed to have a central park like South Dahlia Lane), and Orchard Hills in Greenwood Village, whose unique master plan was designed to engage with the prairie through unusually large greenbelts running through the neighborhood. Residents of the Mile High Housing Association paid off their mortgage in the 1980s, and ultimately dissolved the co-op in 1989. Residents of what is today called South Dahlia Lane now own their individual homes. Through the years, most of the houses have retained their original architectural character and design, although some have been modified beyond recognition (including Sternberg’s own house), despite the best efforts of the homeowner’s association to try to keep insensitive renovation in check. Although they no longer share a mortgage, residents of South Dahlia Lane are a uniquely tight-knit community. I encourage you to visit this very unique and historically significant enclave located just southwest of the intersection of Iliff and Dahlia. Please be respectful of the private nature of this neighborhood; the park is private property and is for the use of residents and their guests only, and residents are quite vigilant about enforcing this. Please also note that the loop through the neighborhood is one-way; pay close attention to the signs. This is a private community . . . if you choose to visit, please respect posted signs (including the one-way signs). Read a more detailed account of South Dahlia Lane’s history, written by Eugene Sternberg’s daughter, Jennifer Boone.